Welcome to our first ever Blogging Income Report! We are really nervous about publishing this, but after talking a lot about it and asking everyone in our Blogging Boot Camp group, it became obvious… it was time to start. Now before we get to it, please know that in no way are we publishing these income reports to brag! In fact, we’re actually quite nervous about doing this because talking about money and how much you earn is usually considered a taboo in both our cultures. 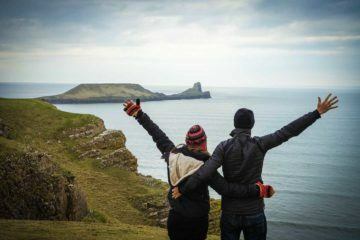 If this is your first time reading our blog, Adventure In You, then here’s a little bit about us. For those that know us already, feel free to skip ahead. Now, without further delay, let’s get into our January Blogging Income Report! We actually didn’t work as much as usual in January because we are training hard to get ready for our trek to Everest Base Camp. Plus Anna was busy sorting visas out for our upcoming trip to Europe (#VanLife). 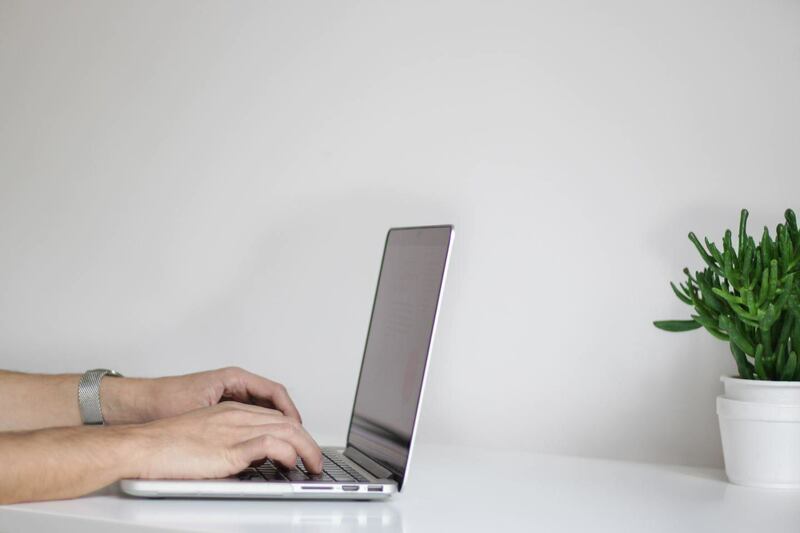 Our main focus was to get all our usual tasks and backlog tasks from Christmas completed so that in February, we could focus more of our time on creating the Blogging Fast Lane course. We want this course to be the best there is on the market (it annoys us seeing crap blog courses out there), so we will be spending a few months working on it to make sure it provides as much value as possible. To make sure it is the best, we are planning to release it at a discounted rate to a small early bird group. That way we can work really closely with the first members, allowing us to gather valuable course feedback to further improve it. We also want to be able to tailor our course to real-life struggles that other bloggers are dealing with. A big backlog task was to roll out new inquiry forms across our Adventure Holiday posts so that our readers could inquire for more information and get the best service possible from us and our partners. I managed to finish that, while Anna focused on creating content for our sponsored clients and members of our Blogging Boot Camp Course. Despite not being able to work much in January, we had our best month yet for income and traffic. It’s important when first starting a blog that you focus on growing one revenue stream at a time, otherwise, it can get overwhelming. Trust us, we’ve been there! Later on, as you grow, you want to diversify your income streams. To make this income report easier to understand, I have broken down our income by different sources. Please Note: All income is in USD ($). Although we’ve listed this amount as our income gained this month, some affiliate networks and clients take up to three months to pay. We turned on ads for our blog in January last year when we hit 100,000 page views a month, but we really wish we had done it sooner! We have now been working with the ad network Mediavine for 1 year and could not be happier with them! With Mediavine, you get paid per impression ie. every time someone views an ad on your site. In January we had over 400,000 page views and made a total of $3,281.78 through ads alone. Yes, they might annoy some people but the average time people spend on our blog hasn’t gone down. If our stats are showing that our readers are still happy, and for us, that’s the main thing, then it’s a win-win! Now, do you understand why we wish we had turned on ads sooner? 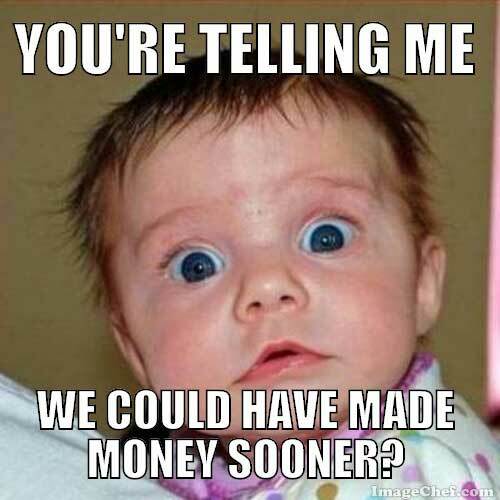 If you don’t know what an affiliate is, it is where you recommend a product or service, and when a person purchases that product or service, you get a commission for referring them. The affiliates that surprised us this month was our hotel affiliate partners and Premier Tefl. It probably doesn’t come as a shock to hear that we promote a range of hotel booking sites on our blog. In January, we had pretty good success with our hotel affiliates bringing in around $2000. We know that a lot of people usually book their travels during this month and the next so we’re hoping this trend continues. At this time, we also made the decision to stop promoting Hotels Combined. We are in the process of removing them from our posts and decided this for two reasons. We struggled to use their affiliate platform and we found that our readers much prefer making their reservations through Booking.com or Agoda. We can tell this as the conversion rates are a lot higher. Our tip is to test our what platform resonates with your audience and run with that! In summer of last year, my lovely younger sister, Becky, went to Poland and Prague to take part in a Premier Tefl Scholarship. She had an incredible time and not only walked away with a new skill set to teach English but also a new group of friends. Based off of Becky’s experience, we went ahead and started promoting Premier Tefl across our blog as a way to get your TEFL qualification and teach English anywhere in the world. We couldn’t be happier referring people to them as we genuinely believe they are the best at what they do. 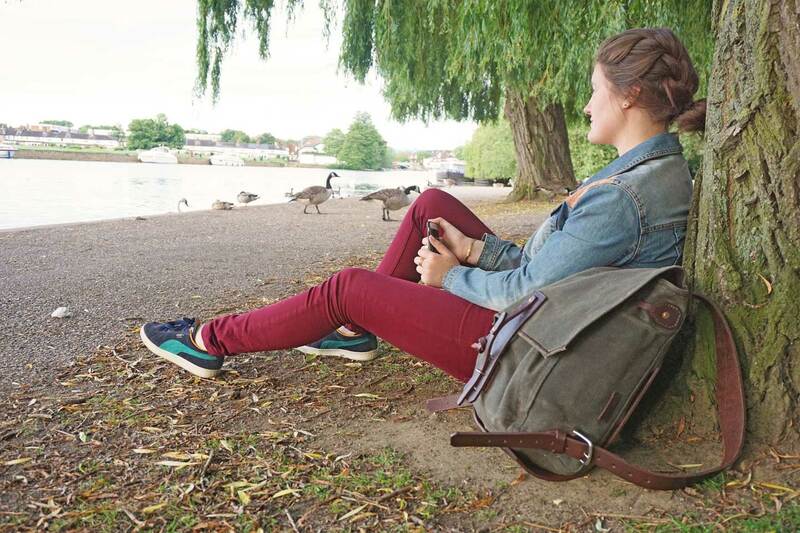 If you want to read Becky’s review of Premier Tefl click here. They also have awesome European scholarship programs that you can apply for! Sponsored post: A company usually pays you a one-off fee to add a link to an existing post or for us to write a new post and mention them. Brand partnerships: More long-term partnerships where we work with companies on multiple pieces of content towards a bigger goal. We prefer Brand Partnerships as we like to work with companies on a more long-term basis. We think our readers prefer it too. We turn down a lot of sponsored opportunities monthly, mainly because we want to make sure that we only promote the best companies and those whose vision aligns with our brand. This year, as we head into Europe, we are aiming to increase our Brand Partnership revenue by 2x, as we partner with the best brands for our Top 50 Adventures campaign. We sell a range of digital guidebooks for Southeast Asia across our blog and in January they sold pretty well. We had 75 new customers and around 20% opted to buy the complete bundle set that we offer. We love selling our guides as we feel they are really great value. We showcase the best of each country in a well-designed easy to read guide, which provide both value and inspiration to the reader. Although we are currently not producing new guides, we have an updated version 2 of our Thailand guide coming out soon. 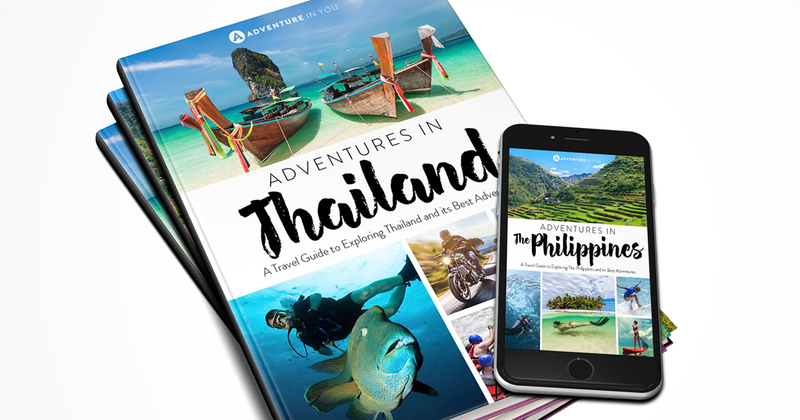 So if you reading this and bought version 1 of our Thailand guide, you will be getting the new version 2 guide for free, very soon! In the future, we are looking to get our guides on Amazon and produce them in print. We just haven’t had the time to do this just yet! 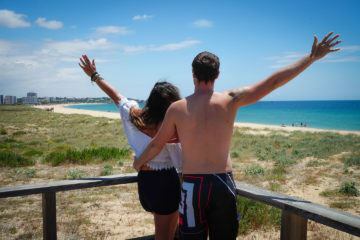 Those that have been following us for a while, will know that we also own a travel app called Get Stoked. 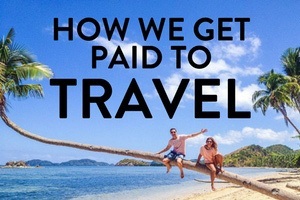 Almost 2 years ago, we took a small investment in order to build a travel app. We spent around 15 months designing and building the app, while also building Adventure In You alongside it. After 15 months, we decided to pause the project. The app, however, is live on iOS and connects you directly with activity suppliers that we trust (Currently only in Thailand). We paused the project as we simply didn’t have enough money at the time to keep funding it, especially since we weren’t monetizing it just yet. We also noticed that Adventure In You was doing well and realised that this was the part of our business we enjoyed working on the most. At the moment we are working on a deal with our Get Stoked developer/partner to see if we can kick it back to life. Expect an update on this soon! Our expenses this month were a little higher than usual as we had a few flights, visas and annual subscriptions to pay. Plus I attended a Nomad Summit conference in Chiang Mai. In future income reports, we will show the increase or decrease from the previous month. For the case of this first report, I have just listed the numbers. 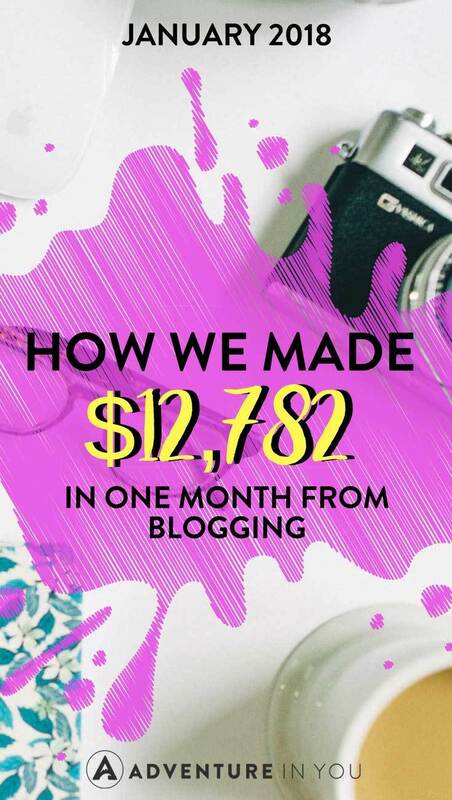 Our biggest takeaway from January was that it was time for us to fully embrace helping others blog, hence publishing this income report. We started our Start a Blog Free course at the end of December and were blown away by the response that we’ve gotten so far! To us, we couldn’t be more stoked that we’re now in a position to advise and help others through the crazy roller coaster ride of making money online! 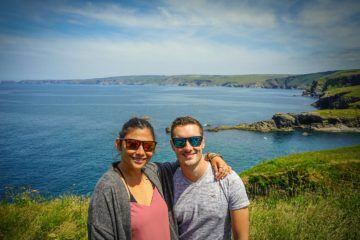 We have been blogging for just over 2 and a half years now and in that time, we’ve not only traveled (a lot) but also learned so much about the online world. 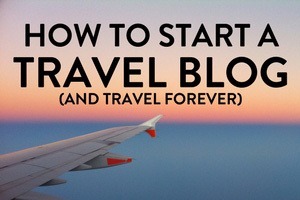 For us blogging, has the lowest barrier to entry into the online world. Meaning, anyone can get started in less than an hour. That being said, because of this very reason there are a lot of blogs out there. We want to help people develop great blogs that not only help people but also help the blogging industry as a whole. We plan to dedicate most of our time this month into developing our Blogging Fast Lane course and providing more valuable content for the people in our Blogging Boot Camp Course. As always, we would like to thank you guys for reading. Without your constant support, love, and words of encouragement, what we do wouldn’t be possible. We feel grateful every day that we get to produce travel content that helps and inspires others. For us, it’s a dream come true. A successful blog is one that helps the readers solve a problem by providing value. 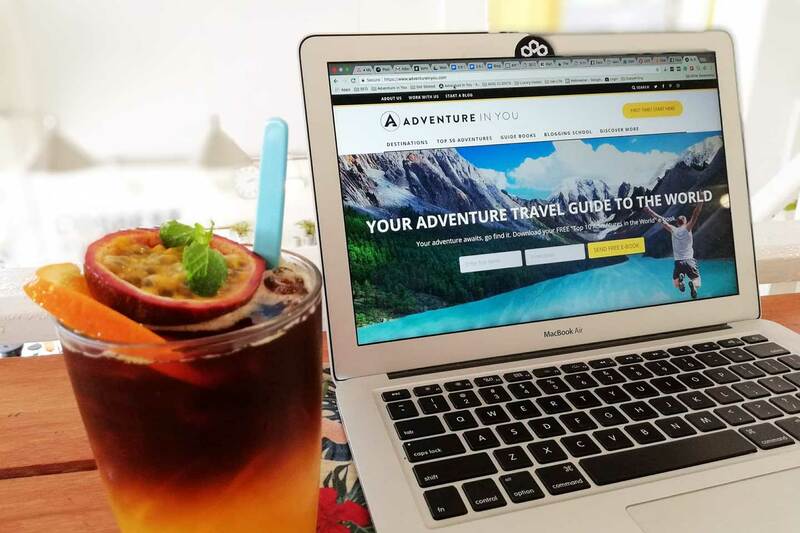 Through our blog Adventure In You, we help our readers solve travel problems through our travel guides and get the courage to travel through our inspirational posts. We also help those readers that want to build a successful blog, through our Blogging School. 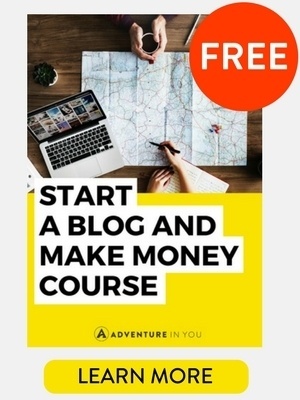 Free Training: If you are reading this and want to make money blogging then you need to attend our Free Masterclass Training! 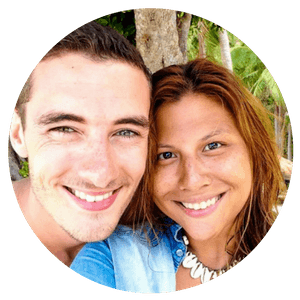 Here, we share some of the biggest shifts which changed our business and how we managed to grow it into a full-time income.. It’s 100% free and is full of actional value bombs. Until the next time, remember… Your Adventure Awaits. GO FIND IT! This is so great guys! Amazing and inspirational. I’ve had a blog since August and it really hasn’t gone anywhere. I feel there is a part missing between you start it and you get the first 1,000 view per month. I don’t know how to get people to sign up, I don’t know how to get more page views. I don’t know when to reach out (or to who) for partnering/sponsorship. Do you guys specialise in that stage, after you’ve created your blog and you’re a few months down the track? Thanks so much. Just signed up! You guys are incredible! 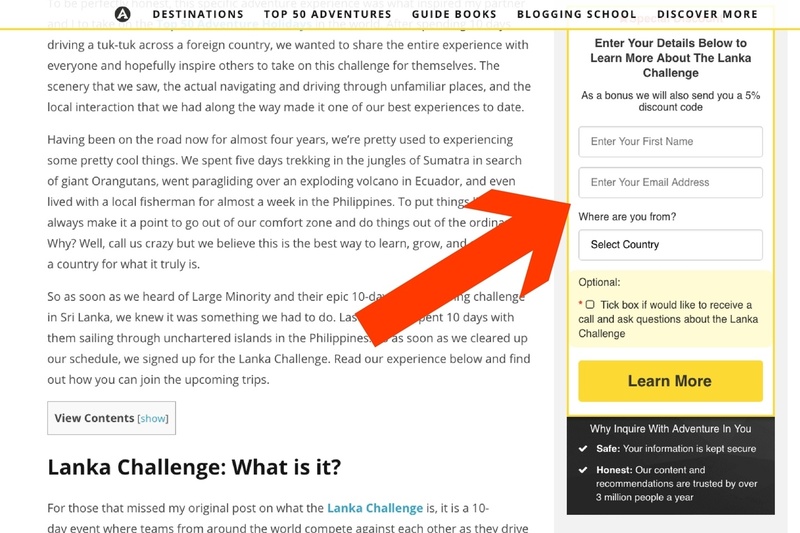 I don’t think this is bragging, I so agree that it’s one way of giving your readers and us (bloggers) an idea on where else should our blog be going. I’ve been blogging for a while now (years now) and I even gotten that far, yet, you’ve given us more hope to do more and strategically make our blog progress. Kudos to you Tom and Anna! 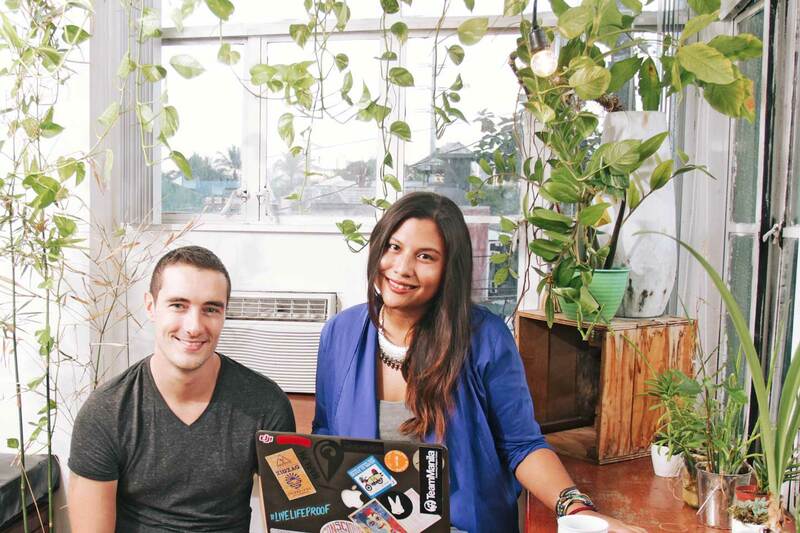 Thank you so much @fernamaefernandez:disqus! We were SO nervous publishing this. So happy this post motivated you to keep working on your blog! Nice work guys! So stoked for you. Killing it. Can I borrow twenty bucks?